The African Union Commission and international partners have called upon external creditors to cancel Somalia’s debt to allow the war ravaged country access financing to support its socio-economic advancement. 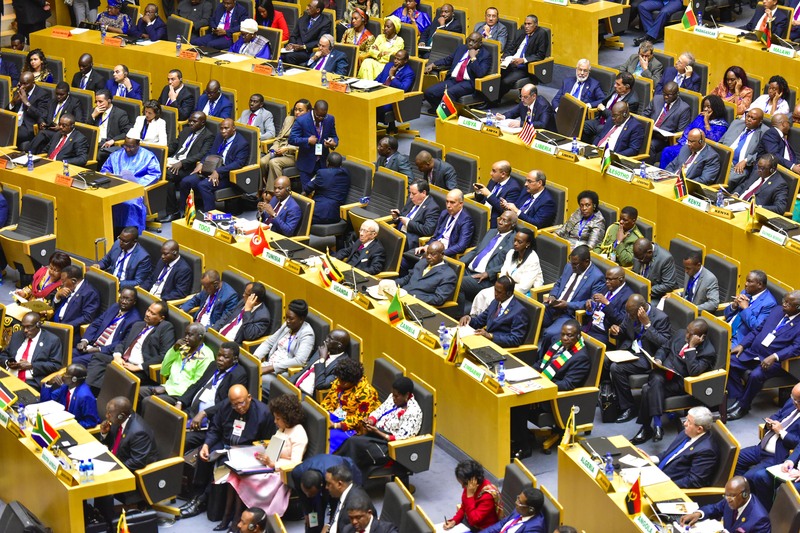 The leaders made the call during the African Solidarity Conference at the 32nd Ordinary Session of the African Union Summit held in Addis Ababa, Ethiopia. Several speakers acknowledged that Somalia has made tremendous progress towards fiscal reforms and stability, however its external debt, accumulated over two decades ago, continues to be a huge burden and hinders the country from moving forward. “We would like to urge international financial institutions and development partners present in the room to assist the country in its development interventions by managing climate change and cancelling its debt,” H.E. Prof Victor Harrison, the Commissioner for Economic Affairs of the African Union said. Harrison argued that, resolving the debt situation in 2019-2020 could restore investor confidence in the country and ensure economic recovery. H.E Dr. Abdirahman Duale Beileh, Minister of Finance, Federal Republic of Somalia said Somalia’s debt burden is robbing poor Somali people of their right to access basic social services including clean drinking water, sanitation, education, health and non-existing job opportunities for young people. Meanwhile, Mr. Issouf Samake, Resident Representative of International Monetary Fund, Somalia, applauded the progress made by the country under the Staff-Monitored Programmes (SMP). He also indicated that successful completion of the current third SMP could eventually pave the way for Heavily Indebted poor Countries Initiative decision point, arrears clearances, and IMF financing program. The meeting, hosted by the H.E. Ali Sharif Ahmed, Somali Permanent Representative to the African Union in collaboration with the Somalia NGO Consortium, aimed at raising awareness on the impact of Somalia debt and gaining support from African member states. The current Federal Government of Somalia (FGS) inherited an external debt of US$ 4.6 billion (much of which is in arrears). The resolution of Somalia’s external debt problem is made more glaring by the fact that the country has been mired in over two decades of conflict, resulting in the fact that the majority of the population (~67%) was born well after the civil war, receiving scant benefit from what Somalia’s US$ 4.6 billion external debt was spent on.